As I discover folks whose natal Mars-Ixion Relationships are triggered by the upcoming Mars-Ixion Conjunction, it’s important to remember that most of us are not our Inner Ixion (psychopath), it just feels like it sometimes. If other people are never as right as you are, AND you’re getting paid 342 times as much as they are, then yes, you might want to examine whether your Inner Ixion has control of your personality. If you get paid less than that, then the appropriate response is to be Loving, Gentle, and Forgiving with your Self-Judgements. A strong Ixion is useful on occasion, for setting difficult Boundaries with difficult people, but it’s only one (dwarf) planet of many in your natal constitution. 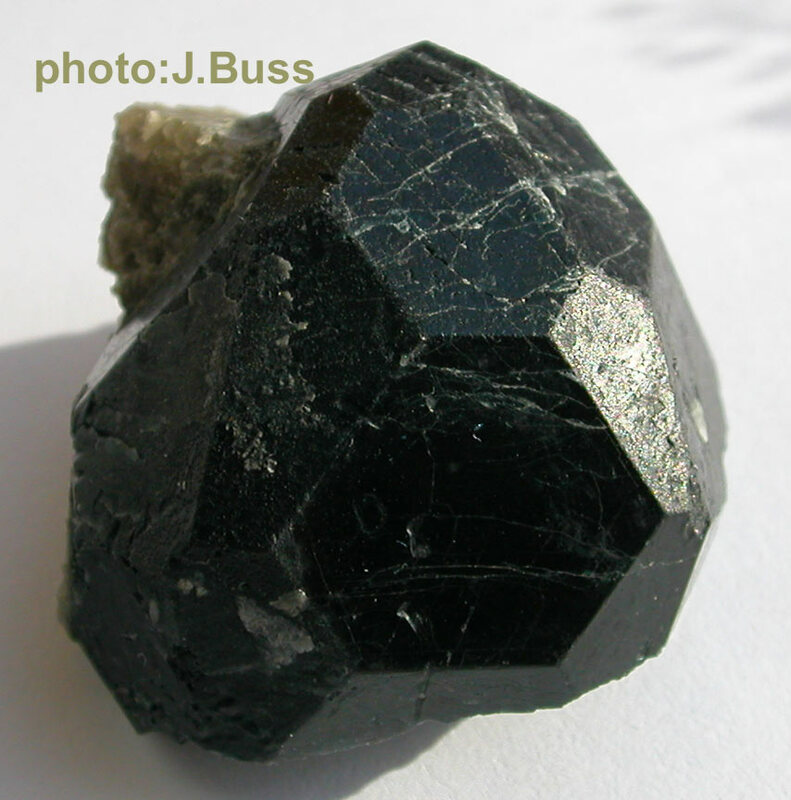 A black Spinel Crystal. Spinel is a Corundum (Ruby, Sapphire – Aluminium Oxide) with some of the Aluminium replaced by Magnesium. Black Spinel is used to ground people who have witnessed horrors. As is often the case, the plot thickens, and as is also often the case, we owe another debt of gratitude to our friend Elizabeth for pointing out what we’ve missed. Turns out Mars is Out of Bounds while it’s negotiating this Centaur Gauntlet. When a planet is Out of Bounds (“OOB”), it’s influence is much stronger than usual. The Sun is overhead on the Tropic of Cancer on the Northern Summer Solstice, and overhead on the Tropic of Capricorn on the Southern Summer Solstice. That’s what defines these “Tropics” – they describe how distant the Sun ever gets from the Equator. The rotational axis of the Earth is not at a right angle to the plane of its orbit around the Sun, so this “tilt” of the Earth is what gives us the Seasons. The Tropics are at 27:23 degrees North and South Latitude – think Hawaii, Mazatlan, Havana, the Sahara, Abu Dhabi, Kolkata, Hong Kong, Antofagasto, Rio de Janeiro, the Kalihari, Alice Springs, or Tahiti, and you won’t be far off. Some planets go further north than the Tropic of Cancer and further south than the Tropic of Capricorn. When they do, we refer to them as Out of Bounds, and we have to pay more attention to them than we otherwise would. The easiest example is the Moon. It goes OOB for a few days every two weeks for about eleven years, then for the next eleven years after that, it stays In Bounds all the time. We’re more Emotional when the Moon is OOB. It’s last eleven-year OOB cycle was 2001-2012. The first OOB of that cycle began at 9am on September 11, 2001. No accident there. Mars went OOB September 29, and will be so till November 2o. Have you or your associates been more volatile since September 29? Consequently, we have to pay more Attention to Mars crossing all of these minor planets that are clustered near the Galactic Center. The first event in the Gauntlet occurs at 7pm PDT October 11, when Mars Opposes the dwarf planet Chaos. Chaos doesn’t mean disorder, it means Potential. It means the Unformed. Like Water just before it boils; you can see the seething beneath the surface, but no bubbles or steam have risen yet. Manifestation is implied, but it hasn’t happened yet. Since Mars means Action, there’s likely to be a “Disturbance in the Force.” Bubbles and steam at the very least, and probably a bundle of Unintended Consequences. We’ll talk a bit later about Pandora and her Bottle. Turns out Chaos is also Out of Bounds – that is, more pregnant than usual. It went OOB in 2003, and will remain so till 2060. Since our species will probably transmogrify or self-destruct in that span, that’s not surprising. Chaos was also OOB from 1836 to 1923. That corresponds fairly closely to the decline and dissolution of the Ottoman Empire. While slavery certainly wasn’t abolished, it was at least declared illegal in many places during that span. Since Mars is moving fairly quickly these days, we should look for the Mars-Chaos influence (and the others in the series) to be in effect for a little more than 24 hours prior to the actual event. When we’re Conscious of an astroevent, the influence builds till the actual event occurs, then subsides rapidly. When we aren’t Conscious of it, the influence can also continue to be strong afterwards, in this case another 24 hours afterward. We’re referring to one degree of Sensitivity or Orb here; we could easily be using three degrees, in which case rather than 24 hours, the span of influence would be more than three days on both sides of the actual event. With so many events going on in rapid succession, we’ll use one degree Sensitivity, so we have a hope of distinguishing one influence from the other. With three degrees Sensitivity there will always be several things going on at once, which is likely to be very confusing. The Moon, which often times the impacts of astroevents better than the event itself, is on the other side of the Zodiac. One of the most important thing to remember here, is that Confusion is the first sign of Growth in Consciousness. Our Limiting Beliefs are like “rules” for how the Universe should behave, and when the Universe misbehaves, our first reaction is Confusion. If your first reaction to surprise isn’t Confusion, look for the Confusion underneath the Anger or Fear that does arise when you’re surprised; you’ll be glad you did, because it will change your Life for the better. It’s important to let Confusion stand, to NOT try to “figure it out,” because if you do you’ll end up denying the Change. Our intellect is tightly bound to our Limiting Beliefs, so it’s almost impossible to Grow our Consciousness using the intellect. We have to step beyond the intellect. Mars Cycles are in general about two years long. So we should be seeing Potential blooming into Responsibility. There are arenas of my own Life that seem to fit that; how about yours? On the World Stage? We might permit ourselves to be less cynical about whether the recent climate demonstrations will bear fruit this time. The Lizards seem to have gotten most folks to forget about Ferguson Missouri. Have mature thinkers begun to prevail in Iraq or Ukraine? The Phitile occurs December 5th. We could set December 5 as kind of a deadline in our mind, to see whether any actual progress toward Sustainability occurs between now and then. There is an important election in the US between now and then that could have a strong influence on the speed of the US’s descent into unapologetic fascism. The dwarf planet Ixion is named after the psychopathic Bad Boy of the Greek Pantheon – the classic avaricious self-absorbed Empathy-bereft CEO type. Since Mars can manifest as unpleasantries of various sorts, it would be reasonable to expect Mars-Ixion to be nasty. Plus, Ixion is also Out of Bounds. Ixion’s OOB spans 2009 to 2056. It’s prior OOB span was 1850-1918, not that different from the OOB spans of Chaos. The 7pm PDT October 12 Mars-Ixion event begins a new Cycle. While for the last two years we’ve been retreating into our hermitages to escape the ravages of the Lizards, we may need to retreat into our imaginations to escape them for the next two years. Pelicans are particularly Illuminated Beings. In the US, the Department of Agriculture has just approved Dow to profit from the use of GMO seeds resistant to Agent Orange, as a solution to the failure of Round-Up-Ready GMOs to control weeds and increase yields. A friend always says that Changing Frequencies will render you invisible to the Lizards. The simple translation of that is to shift from Fear to Love, but not Love for the Lizards; rather, enough Self-Love that you’re willing and able to carry on your own agenda, non-confrontationally, without worrying about incurring their censure. I’m sure that it’s possible for that to make one invisible to Agent Orange, but along the way is paved with suffering. I think it’s more likely that the Greed of the Lizards will eventually push people over the line far enough to create effective political resistance. Consumerism and propaganda in the US make it very hard to push anyone over the line. The affair in Ferguson Missouri offered some hope for a conversation about militarization of the police in the US – the Lizards’ insurance against non-political resistance – but that conversation hasn’t happened. The Lizards will have to get so outrageous that resistance to them becomes almost universal. Regrettably, Mars-Ixion could help. The Moon Opposes Mars and Ixion a bit after 10pm PDT October 12, and may influence the timing of any concrete manifestation of the Mars-Ixion event.